Now living in Berlin, where she moved in 1998, Assia is widowed and severely disabled with a weak heart and arthritis that makes mobility a challenge. Some of her conditions are a consequence of the harsh conditions she suffered under Nazi occupation. Assia Jassioukevitch was just 14 when the Nazis arrived at her Ukrainian village. 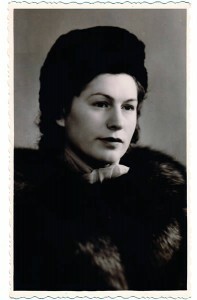 She survived a mass execution of the village’s Jews, only to be captured and deported to a ghetto. 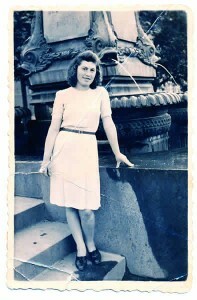 A photograph of Assia from the late 1940’s. Now 88 and in poor health, Assia lives in Berlin and receives a monthly pension from the Claims Conference, which helps her manage day-to-day. When Nazi Germany invaded the Soviet Union in June 1941, young Assia Ardermann’s family was living in Kodyma, a village in the Odessa region of Ukraine, which also was a Soviet military base. Several weeks later, Wehrmacht and SS soldiers arrived and began shooting the village’s Jewish men. After Assia’s father escaped one execution, he fled with her to a nearby village, but they were discovered and forced by the SS into a ditch to be shot dead along with other Jews. Miraculously, they both survived, faking death until dark and then escaped from the pile of corpses. But they were soon caught by the Germans. Assia and her father were then sent to a ghetto in Transnistria, where the teenager was forced to do heavy labor until the Soviet Army liberated the ghetto in August 1944. Assia’s son lives nearby and sees her often; her grandchildren visit every other year from Odessa. The pension she receives from the Article 2 Fund helps her pay for expenses and has gone a long way in lessening her financial worries and helping her live in dignity.